Display our tall bunny beekeeper on a covered porch or in a foyer to welcome guests during the spring season. 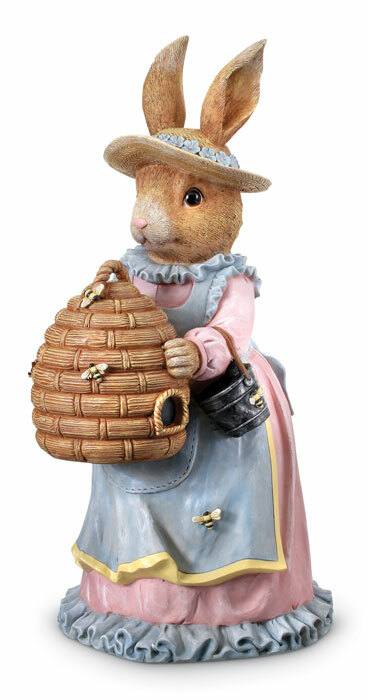 Crafted of polystone, the beekeeper has been hand-painted with wonderful details. Formerly $215, now 40% off. Discount may not be applied to prior purchases.